Does MoviePass Really Save You Money? Everybody’s talking about MoviePass. Your neighbor, your coworker, your nephew and all their mamas are in on the latest subscription craze. And maybe you’d like to be too. Of course, as the budget-conscious person that you are, you want to make sure your dollars are put to good use (fist bump emoji coming at you!). Lucky for you, we’re bringing all things MoviePass your way with a thorough breakdown, including what the subscription really costs and why you might want to give it a try. For just $9.95 a month, MoviePass gives you access to one film per day in the theater with no blackout dates and no commitment required. Got it. So How Does MoviePass Work? Search the app for a movie in the same way you would look for tickets online. Select your theater, film and time from available options. Then put the movie in your cart. With the app turned on, MoviePass uses GPS to know when you’ve made it to the theater. They’ll automatically load the debit card with the exact amount needed for your chosen movie. Purchase your ticket using the loaded debit card, and you’re in! Okay, MoviePass Sounds Too Good to Be True. Is It? We can tell you’ve seen your fair share of detective films, because you’re onto something. Let’s talk through the evidence, shall we? Less than $10 a month to see as many movies as you like . . . and MoviePass foots the entire bill each time you go? Doesn’t seem like a super lucrative business idea. MoviePass CEO, Mitch Lowe, fills in a few of the gaps for us. He explained that most folks see between three and six movies per year before signing up for MoviePass. And after signing up? Well, they’re not spending lazy afternoons at the theater for days on end. Nope. With MoviePass the same people will now visit the movies between six and nine times in a 12-month period.² That’s it. It gets better, too. 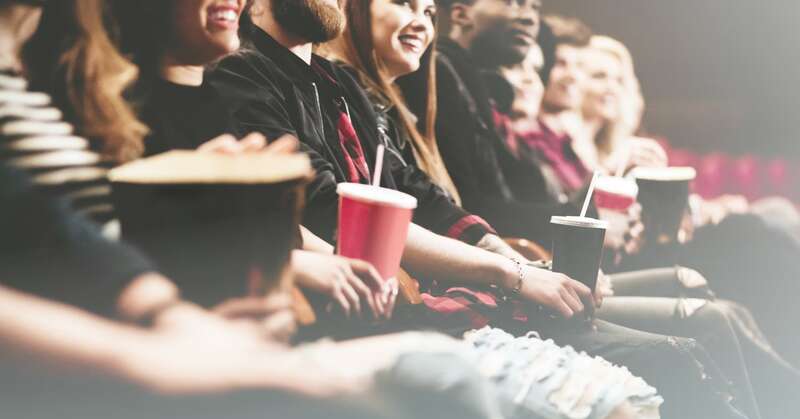 Lowe also disclosed that MoviePass users shell out about $13 for snacks and drinks each time they visit the theater—an amount he labels “more than double the norm.”³ Makes sense because if you don’t pay for tickets, you might feel more freedom to indulge in snacks. What Does the Cost of MoviePass Look Like Over the Course of One Year? At just $10 a month, every month, there’s no guessing on how much to include in the theater category of your EveryDollar monthly budget. Want to know what’s not cheap? Babysitters. With MoviePass, you can afford to stay out a little longer with your love or enjoy an evening with a whole group of your favorite pals. You might like to hunker down in the winter for holiday blockbusters, see every summer action flick, or catch all the Oscar-nominated films. Visit the theater frequently during your season of choice and then cancel your subscription until the following year. How many movies can you realistically commit to seeing each month? How will you feel about extra time spent in the theater? How will you feel if you get to the theater only to find the show you want to see is sold out? Can you walk right past the popcorn? If not, can you make room for it in your budget? Either way, as long as you keep your entertainment budget in mind, you can pretty much count on a happy ending. Want to know how much you spend each month on entertainment and the movies? Track them with an easy-to-use EveryDollar budget. Sign up for a free account today!